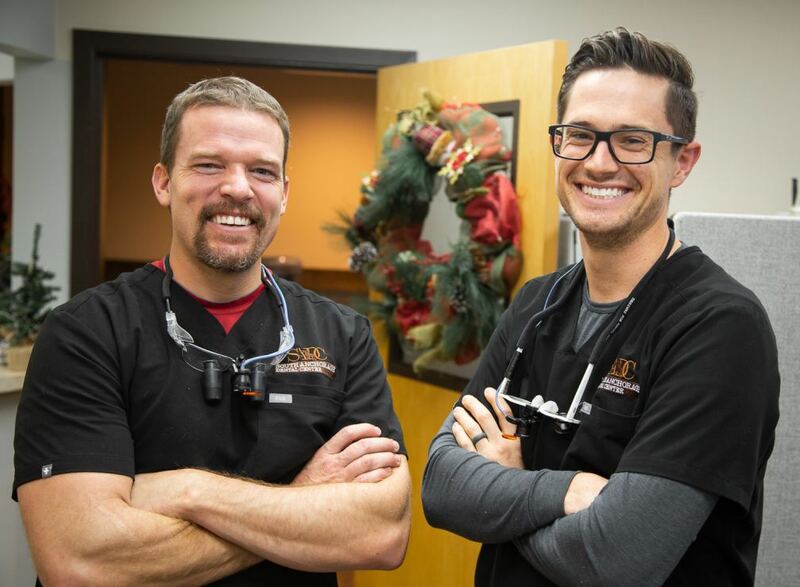 ANCHORAGE, Alaska - Dec. 14, 2018 - PRLog -- Dr. Broc Brimhall has long been serving the Anchorage community with family dental services at South Anchorage Dental Center. To best meet the needs of Alaskans, he offers extended hours, same day dental, and 24-hour emergency appointments. As a result of his work, Alaskans traveling in from the bush can take care of extensive dental procedures in one day! Dr. Brimhall's extended hours and 24-hour emergency appointments are also very convenient for the hard-working men and women of the Anchorage community. South Anchorage Dental Center offers a broad range of dental services for "everyone from the very young, to the young at heart!" Their treatments include cosmetic dentistry, restorative dentistry, checkups and cleans, dental implants, tooth extractions, and even Invisalign. The motto of South Anchorage Dental Center is "Come as a patient, leave as family." They value providing their patients with a high level of service and care. Dr. Brimhall and his team also provide same day dental for Alaskans who have limited time in Anchorage, such as those who are traveling in from the bush to visit family or purchase groceries. They currently provide same day extractions and implants, and they continue to invest in the latest technologies to provide the best possible service for their patients. South Anchorage Dental Center is a strong choice for busy, working men and women in Anchorage because of their extended hours, offering appointments until 7:00 p.m. on Monday and Tuesday as well as Friday and Saturday appointments. They also provide 24-hour emergency dental services for dental problems that cannot wait for normal business hours. Learn more about Dr. Brimhall and the South Anchorage Dental Center team at southanchoragedental.com! South Anchorage Dental Center is an Anchorage family dental center providing comprehensive dental services to their local community. They offer everything from cosmetic dentistry, to restorative dentistry, teeth straightening, and emergency dental for patients young and old! What makes South Anchorage Dental Center unique is their commitment to providing family-friendly dental and offering same day dental services and extended hours for the convenience of their patients. They work with most major health insurance providers, including Medicaid, and they are in-network with many dental insurances offered in the Anchorage area. Visit them online at southanchoragedental.com.